With everything that’s happening nationally, one thing remains certain – it’s vital that our party achieves a good set of results on Thursday 2 May. Word on the street is that support for the big two parties is soft and where local Liberal Democrat teams are working hard, we are in a strong position to make gains. 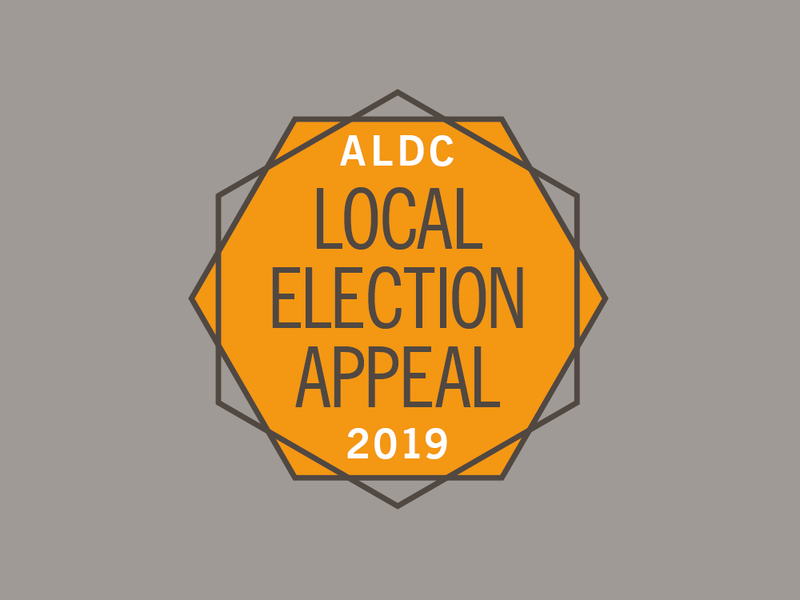 If you haven’t yet had a chance to donate to ALDC’s Local Election Appeal, time is running out to make a difference – in many councils, postal votes have started landing on doormats. 100 Lib Dem candidates in target wards from Kent to Cumbria have already received letters to 25,000 crucial postal voters, paid for by generous donations. We now want to do even more to make sure these wards are Lib Dem gains on the night. We can only help our candidates get across the line in these target wards if we raise another £5,000 for the Local Election Appeal by the end of this week. Can you donate today to help Liberal Democrat candidates get across the line in 100 wards? If you would like to send a cheque (made payable to ALDC), our address is: ALDC, 2.07 Boat Shed, 16 Exchange Quay, Salford M5 3EQ. Thank you to everybody who has supported our appeal. Find out more about our appeal.